Low-pressure microfiltration (MF) and ultrafiltration (UF) membranes are used for tertiary treatment in applications that require lower concentrations of effluent TSS or associated contaminants than cloth media can achieve. Because MF and UF membranes have pores that are in the sub-micron range, these membranes remove nearly all of the TSS and insoluble (particulate) contaminants. Low-pressure membrane filtration provides the highest quality effluent because they are a positive barrier to suspended solids, provided they have no integrity issues. Two Aqua MultiBore® membrane options – P-Series polymeric UF and C-Series ceramic MF – ensure the end user achieves the highest quality effluent and realizes the unique benefits that the selected membrane offers. Each membrane option is engineered to provide quality effluent, minimize cleaning, and last longer than other polymeric or ceramic membranes. An inside-out flow path keeps the solids contained within the feed channels, where the cleaning velocity is greatest. 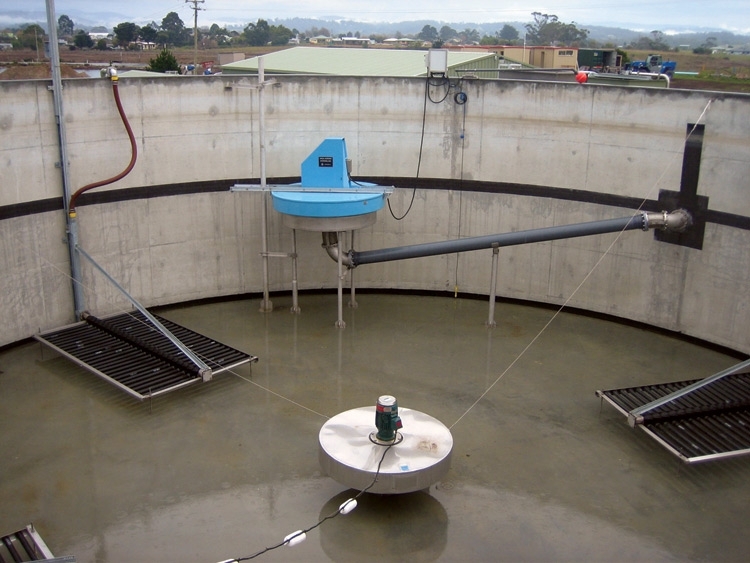 On the island of Tasmania off Australia’s southeast coast, the AquaMB Process® from Aqua-Aerobic Systems Inc. is utilized as an alternate to membrane biological reactors (MBRs) in the town of St. Helens.